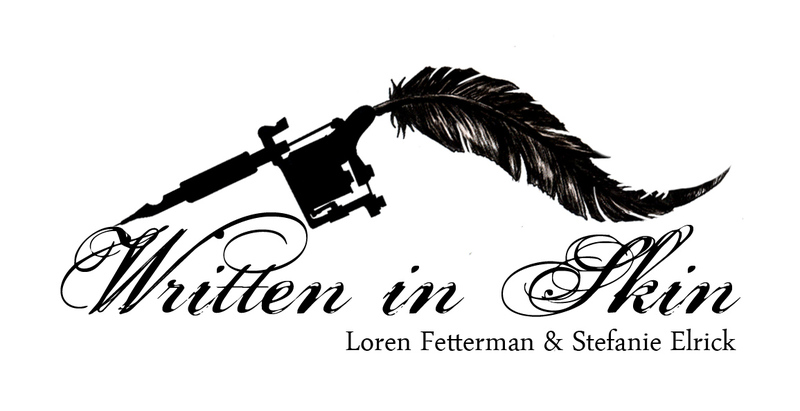 ‘Written in Skin’ is the first ever collaboration between tattooist and illustrator Loren Fetterman and performance artist Stefanie Elrick. In it the stories of an international group of strangers will be ‘blood-lined’ across the entirety of Stefanie’s body by Loren in 6hrs, merging body art, tattooing, literature and fine art in an ambitious and daring new piece of work. This is a project with many stages, the first being when the duo began an online campaign asking members of the public to send in submissions of any kind; poetry, prose, thoughts, streams of consciousness, a sentence, a word – specifically on the theme of love. The writing was encouraged to be sentimental, angry, hopeful, sexual, comical, WHATEVER – as long as it genuinely reflected an experience of platonic, familial or lustful emotion. The response was open-hearted and overwhelming. The second stage began when these pieces of writing were broken down into fragments to be fused in a larger narrative by Loren and Stefanie. This required many drafts as the colossal amount of writing submitted would have been impossible to fit on one body. After much honing the many voices were united into one. The process has been documented on this online blog site. The third stage involved Loren turning the final ‘Master Poem’ into an all over body design of intricate calligraphy. The fourth stage is the live performance in which this design will be blood-lined onto Stefanie in a gallery setting. Photographers Jamie Alun Price and Lydia Roberts will document the live event. ‘Written in Skin’ literalises the idea of wearing our experiences on our bodies, not with hearts on sleeves but with memories etched in our flesh. It seeks to illuminate the regenerative and healing potential of love and pain. ‘Blood-lining’ is a semi-permanent form of tattooing without ink, the results of which are akin to scratches visible for weeks afterwards that gradually heal and disappear. Literalising the emotional marks we inflict and receive through experience, then transforming them into a customised piece of body art, this project explores vulnerability, intimacy and the regenerative process of struggle. ‘Written in Skin’ is a Cornerhouse Micro Commission, supported by Paul Hamlyn Foundation.